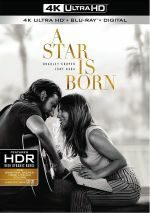 A Star Is Born appears in an aspect ratio of approximately 2.40:1 on this 4K UHD Disc. The movie offered a quality presentation. Sharpness worked well. Virtually no softness materialized, so the movie boasted accurate delineation. In terms of colors, Born largely emphasized teal and orange, though stage settings contributed some deep reds. Within the design parameters, the hues came across appropriately, and the 4K UHD’s HDR added verve to the tones. Blacks seemed dense and deep, while shadows offered appropriate smoothness and clarity. The HDR boosted whites as well. The disc reproduced the film well. How did the 4K UHD compare to the Blu-ray version? Audio remained identical, as both discs provided the same Atmos mix. As for the visuals, the 4K offered superior delineation, colors and contrast. This wasn’t a radical step up but it became the more appealing rendition of the image. Despite the film’s commercial success, the set doesn’t include many extras. Musical Moments acts as an alternate form of chapter search, as it allows the viewer to jump to any of 11 performances. It’s a decent addition. The remaining extras appear on the included Blu-ray Disc. 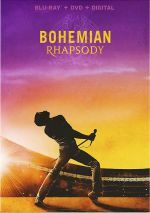 The Road to Stardom runs 30 minutes, two seconds and offers notes from co-writer/director/actor Bradley Cooper, music producers Mark Ronson and Lukas Nelson, director of photography Matthew Libatique, manager Bobby Campbell, and actors Lady Gaga, Sam Elliott, Andrew Dice Clay, Dave Chappelle, Rafi Gavron, and Anthony Ramos. Arguably the best version of the story to date, 2018’s A Star Is Born delivers a bracing, emotional character drama. Abetted by an understated tone and terrific performances, the movie offers a vivid experience. The 4K UHD brings very good picture and audio with a smattering of bonus materials. Born becomes one of 2018’s best films.